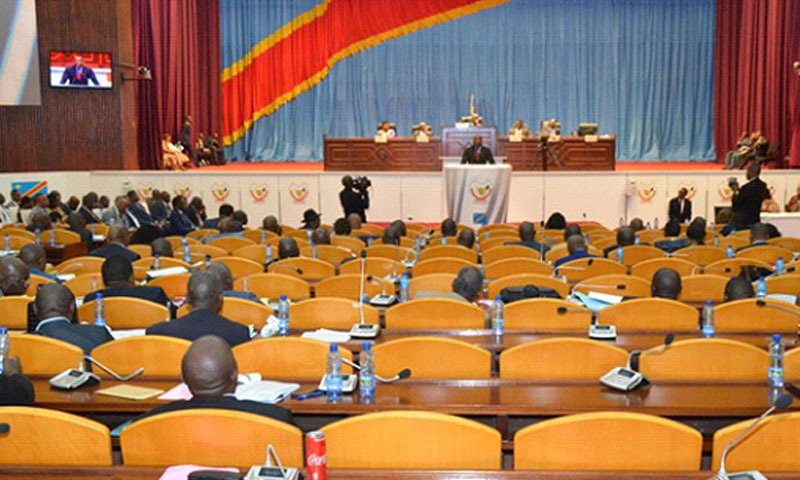 Kinshasa 06-02-2019 Politics - In a letter addressed to the President of the Republic, the group of parliamentary assistants of the last legislature pleaded for the payment of their exit benefits and their salaries of November 2018 and February 2019. The group of parliamentary assistants of the last legislature pleads for the payment of their exit allowances and their salaries of November 2018 and February 2019. In a letter sent Monday, February 4 to the President of the Republic, these agents accuse the outgoing president of the National Assembly, Aubin Minaku for having violated deliberately and with impunity their rights. "We claim our rights violated by the former president of the office of the National Assembly, who did not have the political duty of responsibility to pay the month of November and February 2019, travel documents and exit allowances" said Steve Madjaga, spokesman for the parliamentary assistants. "We are 500 parliamentary assistants. We represent our constituencies. In short, it is an incarnation of the Republic that has been bruised. Article 96 recognizes us as political staff. We should be appointed, but the Minaku office did not want to, " Steve Madjaga lamented. Radio Okapi tried unsuccessfully to contact the cabinet director of outgoing Speaker of the National Assembly Aubin Minaku, to respond to this complaint.